CraftyC's Crafting Library: LOTV DT Card (its a sneak peek) & Challenges! 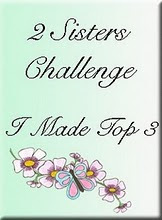 Today we start a new challenge over at the Lili of The Valley Challenge Blog. 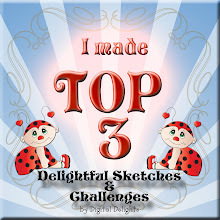 We have another fab sketch for you to play with and the added option of Something Girlie. Not seen this image before? Yep, LOTV have a new launch coming out next week (14th July)and us lucky girls have had the privilege to play with the new images. 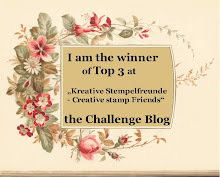 We are also giving the winner of this challenge 2 of the new stamps! This is called "Christmas Candle" and I have coloured her with Copics, Black Glaze Pen and tons of Stickles. Papers are a mix of Imaginisec and Forever Friends. Thanks for taking the time to stop by my blog and HERE is the link to the LOTV Shop. The rest of the DT will be showing sneak peeks throughout the coming week to. Remember to Bookmark 14th July, Christmas starts with People & Nativity!!! The papers and colours are beautiful. 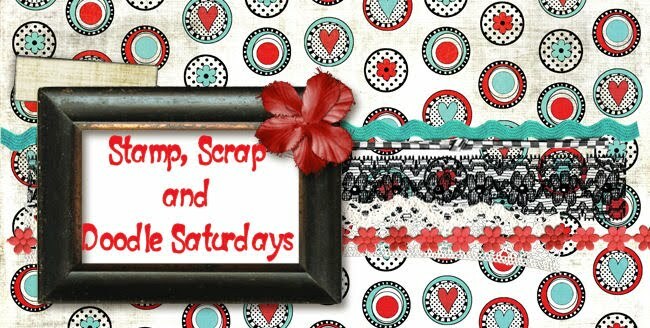 I love this sweet image, I love this fabulous card. Such a gorgeous card Claire, sweet image and fab papers. This is pretty, very very cute stamp! Love the way she's holding the candle. The paper in the back, the white with red details is really lovely as well! Beautifully made! Totally gorgeous Claire, love how you coloured her. So very pretty. Love Christmas in July. 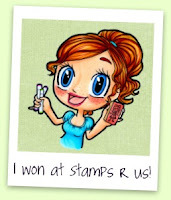 Oh, how adorable is this stamp - I love it! Your colouring is as wonderful as always, and the touch of sparkle is gorgeous. I've been trying sooooo hard not to think about Christmas yet but I bought a new bauble stamp at the weekend so that's it, I'll just have to get into the festive mood! Hi! Claire your card is just so lovely,what a sweetie and love your colours. To think we have all those gorgeous stamps to look forward to-how fab. It's gorgeous! 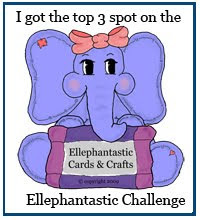 Thanks for joining in with Daring Cardmakers. Such a sweet card! Loving seeing Christmas cards in July! Thanks for joining us at Pile It On. Cute image & I was admiring the sketch then you told me where to find it! SO weird! Great coloring and the DP is TDF!!! 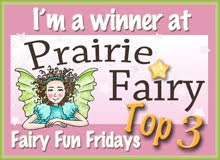 Thanks for joining in at Fussy & Fancy & Fairy Fun Friday . Good luck. Gorgeous! Thanks for joining the fairies this week! This is a fabulous card in wonderful traditional colours. The image is gorgeous. Loving the new images Claire! What a lovely christmascard Claire, wonderful and so sweet! Beautiful card! Your coloring is lovely and it is an adorable image to work with! Thanks for playing at Corrosive Challenges! Beautiful card, Claire! The image is adorable. This is Gorgeous! Love the image. Claire, these is so gorgeous!! Love the snow you added and your coloring looks great!! 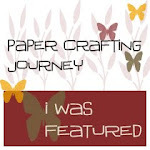 Thanks for all your sweet comments you have let me on my blog!! what a beautiful card and such a sweet wee image. Everything is simply perfect! Fab card! Thanks for joining us this week at PIO! Hope you’ll be back to join us again soon! what a fabulous card !! !Love the image! hi, this is gorgeous. Love the colours. Wow, so gorgeous!!! I hadn't seen that image before, now I want to shop LOL! Great colouring, and the finished product is wonderful. Wow Claire what a stunning Christmas card. Love the image and all the beautiful sparkle you have added. Beautiful card Claire and lucky you getting to play with them firsthand. Can't wait for the release date, love your coloring and choice of papers too. hi, i love the christmas candle card, that is the most precious christmas card i have seen, i would love to order that one if possible, im in the united states and if i call on monday the time here would be 9;30 to 1;30 or is the time different if i call in my order. 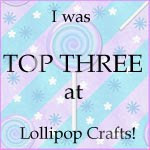 i love the glamorous gardening and the tea party , these are the 3 i would love to order. they are on my top list to order for stamps. all the lotv cards i have sen on here are wonderful and precious . Oh Claire, she's so beautiful! I love the way you colored her, and your design is beautiful! I love it! OH...Claire, your card is very fantastic!!!! I love it and the colours are beautiful!!! Thank you for joining us at Stampavie and More! This is lovely, great layout and flowers. 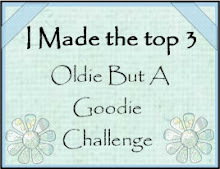 Thanks for joining us at Fussy and Fancy's Christmas in July Challenge! this is so sweet!! lovely card! You are so lucky being able to work with these gorgeous images before everyone else. Love your card and the glitter.